Book by Robertson, Arthur K.
Lead Like Jesus offers a leadership perspective that is radically different than what you ve been doing. It has stood the test of time 2000 years is a good track record! Leadership is about influence - influence that focuses on the thinking, behavior and development of others.This six week study will help you grow in your leadership as you learn to model the leadership style of Jesus of Nazareth. Jesus took a ragtag group of disciples and grew them into a radical force that continues to change and challenge the way we do life and work. 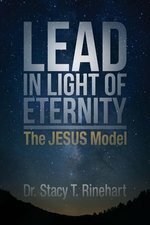 They were so convinced of the method and the message that they were willing to give everything to see it accomplished.You will look at the Heart, Head, Hands and Habits of leadership as modeled by Jesus and to begin the process of incorporating them into your life and the lives of those at your work, home or church. Each unit provides key learning from Lead Like Jesus: Lessons from the Greatest Leadership Role Model of All Time, memory verses, prayers, activities and opportunities for you to write your own plan. Join the Leadership Revolution! Be different today to make a difference in your life and the lives of those you touch. Change the world one life at a time. Leadership Mosaic 5 Leadership Principles for Ministry & Everyday Life OP! There's a leadership crisis in the church. Every leadership model claims to have all the answers to the challenges of leadership. Each perspective emphasizes certain qualities, and we search desperately for answers in the absence of clear direction. But there's no simple leadership formula that meets every need we have in life and ministry. Challenging the conventional wisdom about what makes for a good leader, Daniel Montgomery calls us to a countercultural perspective on leadership rooted in our Creator. He presents a new framework for leadership, not just a beckoning to further pragmatism, relentless productivity, or a reactionary cultural fad. He helps us see leadership as a mosaic of five characteristics--conviction, creativity, courage, collaboration, and contemplation--reflective of the very image of the triune God. Armed with this perspective, we will be able to see, strive after, and celebrate the great and complex vision of leadership God has called us to--for the flourishing of our homes, churches, and workplaces. LEADERSHIP THE INNER SIDE OF GREATNESS OSI! Peter Koestenbaum, the preeminent business philosopher, has been a trusted mentor to business leaders worldwide. In this thoroughly revised edition of his classic book he shares his wisdom about the fundamental nature of leadership and shows what it takes to become an exceptional and passionate leader in today's complex world. At the very heart of the book is his Leadership Diamond model--a paradigm that challenges managers to transform their thinking and approach everything with fresh effectiveness in order to reap richer results and become great leaders. LEADING AT A HIGHER LEVEL OP!!! This volume contains sections on setting your sights on the right target and vision, treating your customers and employees well, and having the right kind of leadership. Dr. John Townsend knows that a leader's internal world--the world of intuition, creativity, emotion, and spirituality--is just as important as the external world of data and best practices. Who you are on the inside determines your success as a leader even more than the things you do or the things you know. "You were designed with both an external world and an inner world," Townsend says, "and they work well together. Accessing both of these areas will take a little knowledge and a little work, but it will help you be the leader you want to be." Many Christians who want to impact the world mistakenly assume that influence belongs only to the front-man. This book helps readers discover a different way to lead - from the background. 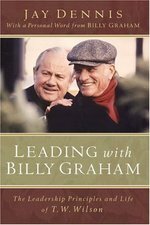 Containing interviews and stories from many of Billy Graham's associates and photographs, it offers a look at a blueprint for purposeful servant-leadership. This book brings you tried and tested leadership training you can use to build top skills into other church leaders. Use this powerful, equipping leadership training resource to build your team on solid, proven-effective, leadership principles with LeadingIdeas. 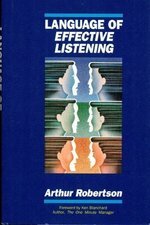 Written by recognized leadership authority, Alan Nelson. Learning Leadership: The Five Fundamentals of Becoming an Exemplary Leader (ISBN: 978-1-119-14428-1; Wiley; May 2016) is a comprehensive guide to unleashing the inner-leader in us all and to building a solid foundation for a lifetime of leadership growth and mastery. The book offers a concrete framework to help individuals of all levels, functions, and backgrounds take charge of their own leadership development and become the best leaders they can be. Arguing that all individuals are born with the capacity to lead, Kouzes and Posner provide readers with a practical series of actions and specific coaching tips for harnessing that capacity and creating a context in which they can excel., Supported by over 30 years of research, from over seventy countries, and with examples from real-world leaders, Learning Leadership is a clarion call to unleash the leadership potential that is already present in today's society. According to Kouzes and Posner, "Leadership makes a significant difference in levels of engagement and commitment and is perhaps the most important asset in every organization, yet recent research points to a shortage of leaders. It is a serious global concern. The world needs more exemplary leaders in order to promote high-performing workplaces and inspire feelings of greater self-worth and meaningfulness. The shortage, however, is not because of the lack of potential talent. The people are out there, the eagerness is out there, and the capability is out there. The shortage results from prevailing myths--myths about talent, strengths, position, self-reliance, and effort--that inhibit the vast majority of leaders from shining and organizations from realizing the full benefits of the talent they already have." Believe in Yourself. Believing in oneself is the essential first step in developing leadership competencies. The best leaders are learners, and they can't achieve mastery until and unless they truly decide that inside them there is a person who can make and difference and learn to be a better leader than they are right now. Aspire to Excel. To become an exemplary leader, people have to determine what they care most about and why they want to lead. Leaders with values-based motivations are the most likely to excel. They also must have a clear image of the kind of leader they want to be in the future--and the legacy they want to leave for others. Engage Support. One can't lead alone, and one can't learn alone.It is essential to get support and coaching on the path to achieving excellence. Whether it's family, managers at work, or professional coaches, leaders need the advice, feedback, care, and support of others. Kouzes and Posner offer unrivaled insights into what it means to become an exemplary leader in today's world with their original research and over 30 years of experience studying the practices of extraordinary leadership. They show that anyone can become a better leader if they believe in themselves, aspire to excel, challenge themselves, to grow, engage the support of others, and practice deliberately. Learning Leadership challenges readers to do the meaningful and disciplined work necessary to becoming the best they can, using a new mindset and toolkit that can make extraordinary things happen. It's not the once-in-a-while transformational acts that demonstrate leadership. It's the little things that one does day in and day out that pave the path to greatness.